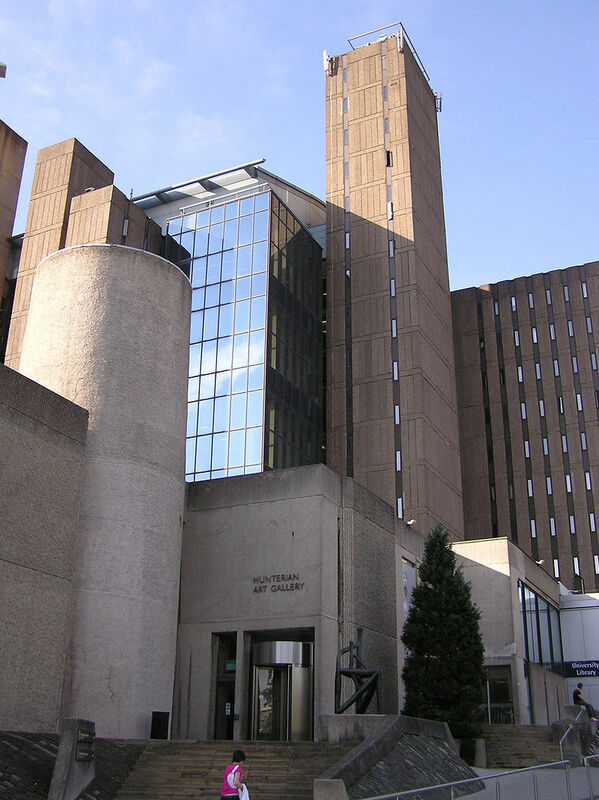 This post is derived from part of the closing plenary that I delivered at the conference Margery Kempe Studies in the 21st Century, held at University College Oxford, 5th-7th April 2018. 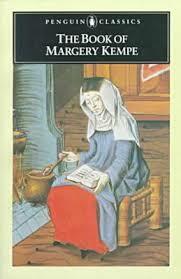 The inauguration of the Margery Kempe Society was announced at the conference. In 1985, I was an enthusiastic—and ambitious—undergraduate at the beginning of the Junior Honours year of my English Language and Literature degree at the University of Glasgow. Junior Honours was the third year of the four-year degree in the Scottish universities, and the year in which students finally were allowed to focus on their subject of choice. Prior to that, a medievalist at heart from the beginning, I had also studied archaeology and medieval and modern history. In the mid 1980s English at Glasgow was a degree of two halves. I have no idea if that remains the case today. The Department of English Language, under the headship of Professor M.L. Samuels, was very much philologically driven, while the Department of English Literature was beginning, albeit somewhat tentatively, to embrace the idea of literary theory. I found myself split between them. Perhaps I still do. The Middle Ages represented the boundary where these two tectonic plates met, with Old English and Early Middle English falling into the remit of English Language, and late medieval falling into that of English Literature. Chaucer’s works, although technically late medieval, were sometimes co-opted by English Language, and were thus often a point of contention, if not of collision. It was in the Department of English Literature, therefore, that I first met Margery Kempe, albeit indirectly, after a lecturer, Dorothy Porter Macmillan, made a throw away remark about the importance of looking beyond the canon and reading more obscure authors. She cited as her example of the sort of subject no one ever studied that of medieval women writers. This was a watershed moment in my life—the moment when it first occurred to me that women might actually have written in the Middle Ages—and it led me to The Book of Margery Kempe, which I found, physically, not in a ping-pong cupboard of a country house (sadly) but on the shelves of the Glasgow University library, in both Sanford Brown Meech and Hope Emily Allen’s Early English Text Society edition of 1940, and the 1936 translation by William Butler-Bowden, in whose property the manuscript was discovered. But in a spirit of open disclosure, I have to confess that my initial reaction to The Book of Margery Kempe was not dissimilar to that of many of my own students in subsequent years, and even today. Quite simply, although I was certainly ‘touched’ by The Book (queerly, affectively, as Carolyn Dinshaw would have it), I didn’t know what to make of it. I was moved, but I was also confused. Fortunately, help was at hand, because that very same year, 1985, Barry Windeatt published his accessible and very readable modernization, with its incredibly helpful introduction. I then discovered Clarissa Atkinson’s fine study, Mystic and Pilgrim, which had come out only a couple of years previously, and which provided such important historical and religious contextualization, and enabled me to begin to make sense of Kempe’s devotional life and very remarkable forms of spiritual expression. (Clarissa Atkinson has written a wonderfully engaging blog post about her own first encounter with Margery Kempe, which took place a decade earlier.) 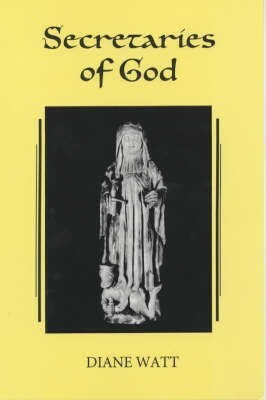 And then in the following year, Sarah Beckwith’s essay, ‘A Very Material Mysticism’, helped me start to understand the complex relationship between women visionaries and patriarchy and the ways in which Kempe might be seen to challenge the misogyny of male clerical culture. 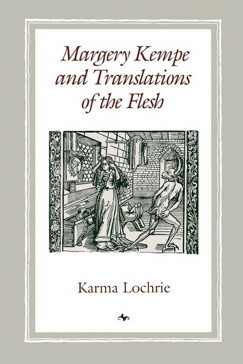 In the same year another influential feminist article came out: in ‘The Marginal Woman’s Quest for Literary Authority’ (an article that anticipated the publication five years later of Margery Kempe and the Translations of the Flesh) Karma Lochrie explored the ways in which Kempe negotiated her status as a laywoman in medieval society, and also how her apparent illiteracy functions within her narrative. So, although the one surviving manuscript of Margery Kempe’s Book may have famously been ‘discovered’ in 1934, it was, I would suggest, only 50 years later that ‘Margery Kempe Studies’ was born, and, not entirely coincidentally, that the seeds were sown for my own queer feminist academic career. Indeed, biological kin aside, my association with Margery Kempe represents my most enduring relationship with a woman, albeit one who has been dead for well over 500 years. Over thirty years later, ‘Margery Kempe Studies’ are clearly thriving, as has been evidenced so strongly by the outstanding papers that were delivered at the Margery Kempe Studies in the 21st Century conference. Laura Varnam, who co-organized the conference with Laura Kalas Williams, has written a great post about the event, which can be accessed here. Indeed, the last few years have seen some hugely exciting developments that have revivified Kempe Studies for the twenty first century, including (to give just a few examples) Anthony Bale’s 2015 translation of The Book of Margery Kempe published in the Oxford World Classics series, the publication by the British Library of an open access online digital facsimile of Additional Manuscript 61823 (the Salhows manuscript), and the discovery by Sebastian Sobecki of letter from 1431 written for Margery Kempe’s son John, a merchant in Danzig (present day Gdansk), who was travelling to Lynn on business, which supports the view that he acted as Kempe’s first scribe. In the intervening decades since I first encountered The Book of Margery Kempe in Glasgow University my research career has developed and matured. My first book, Secretaries of God, which was based on my Oxford DPhil thesis, was concerned with issues of authority and voice, and with the close relationship between religion and politics. In that book I argued that Margery Kempe should be located within a prophetic tradition of women that extended forward into the Reformation and beyond. In a later book, Medieval Women Writers, I focused more on Kempe as a writer, engaging in the sort of collaborative authorship that I see as particularly characteristic of medieval women’s literary culture. My current project, funded by a Leverhulme major fellowship, moves back in time, and looks at ‘Women’s Literary Culture Before the Conquest’. It leaves Margery Kempe behind; or rather it does not discuss her in any real detail. Nevertheless, Margery casts a long shadow, and I can’t help but notice parallels between some of the early Anglo-Saxon women and texts that I am studying at present and The Book itself. 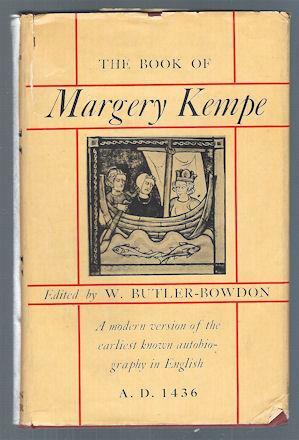 While it is not necessarily possible to see Margery Kempe as part of a continuous tradition of medieval women writers that extends from the early Middle Ages onwards, one way forward for future research would be, I would suggest, to adopt a comparative approach across time, and to draw out parallels between her Book and these earlier works. But whatever form it takes, Margery Kempe Studies will, I am sure, thrive for many years and indeed centuries to come. My updated annotated bibliography on Margery Kempe, is published by Oxford Bibliographies.